The traditional diamond shape given a contemporary and spectacular twist. From the sparkling Austrian crystal stud tip to the longest trail, these shimmering earrings are poetry in motion. The top section of the diamond is fixed and sets the style, but the second section is created from eleven crystal clear Austrian crystal trails, which are graduated to create the dramatic diamond shape. 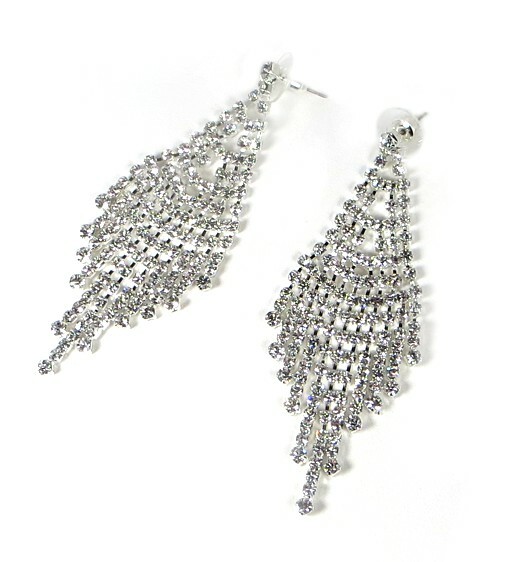 Perfect for any occasion when you need a finishing touch that will pick up major attention and compliments. Drop: 8.2cm (3¼”).